Ford Everest SUVs Spied In Nebraska: More Evidence They'll Be Sold Here? 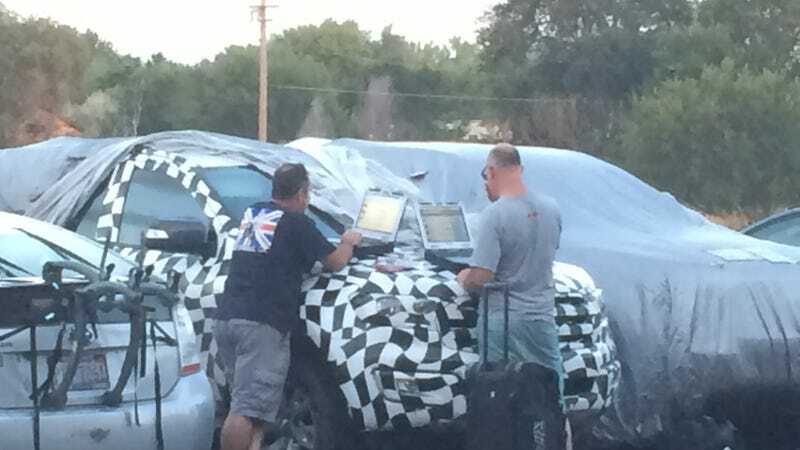 A pair of camouflaged Ford Everests, the small-but-tough SUVs Ford sells in global markets, were spotted testing in Nebraska last week. Seeing these in Colorado can be explained away as "high elevation testing," does an appearance in America's Heartland make a stronger case for their potential entry to the US market? Ford Everest Spied In Colorado, Is It (Or The Ranger) Coming To America? The Everest, which shares a platform with the current global-market Ford Ranger, looks like a cross between the Explorer and Escape, with some likeness to the Edge in the face. Supposedly it's more off-road bias than any of those, if the new one is coming to America it might be taking aim squarely at the new Jeep Cherokee. The current Everest starts at about $30,000, with the top-of-the-line Limited (3.0 engine, 4WD) is just shy of $39,000 in the Philippines (where it's popular.) Would you be interested in this vehicle if it was available stateside? What would you like to see on it if it does make the market leap? Thanks Mark W for sending these pictures in!